Funeral Service for Mary Bacan 72 of Fort Dodge will be Wednesday, October 3, 2018 at 3:00 p.m. at the Historic Bruce Funeral Home in Fort Dodge with Rev. John Elkin officiating. Burial will be in St. Olaf Cemetery. Visitation will be Wednesday 1pm until time of service. She died September 30, 2018 at Friendship Haven. Mary J. (Jacobson) Bacan was born April 4, 1946 in Fort Dodge, Iowa to Raymond and Ruth (Evans) Jacobson. She grew up in Fort Dodge and attended Fort Dodge Public Schools. She was united in marriage to Jerry Bacan Sr. on October 29, 1959. To this union three children were born; Jerry Jr. Timothy and April. 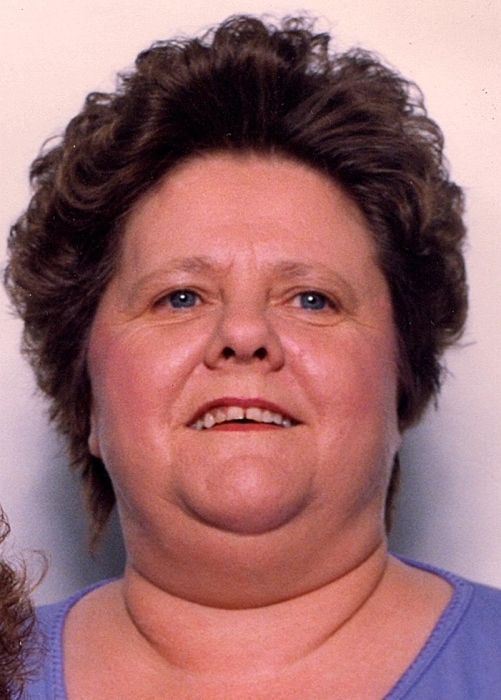 Mary was a nurses aid and worked at various nursing homes throughout her career. She also enjoyed doing home health care. Mary loved playing cards and playing bingo. What she loved most, was spending time with her children, grandchildren and great grandchildren. Mary is survived by her son Jerry Bacan Jr of Sanford, Florida, daughter April Bacan of Fort Dodge, six grandchildren; Sarrita Peed, Brandon Harrison, Brandon Farrand, Jesse Bacan, Alicia Cook and Echo. She is also survived by 5 great grandchildren. She was preceded in death by her parents, husband Jerry Sr, son Timothy and two brothers Jerry Jacobson and Raymond Jacobson Jr.
Honored to serve as her casket bearers will be Roy Contreras, Brandon Farrand, Jerry Bacan Jr, Stacy Gordon, Nathan Klein and Danny Klein Sr.